One of the things I enjoy most about my work with Ford Motors is getting a chance to hear what their Global Trend and Futuring Manager, Sheryl Connelly, has to say about consumer trends. This lady is a rock star and must work under an immense amount of pressure but she handles her job and her family responsibilities without missing a beat, at least in public, and offers up some of the most valuable and intriguing information for businesses and consumers to chew on. Recently, Ford Motor Company released their second annual top 10 trend report for 2014 and the news is that consumers are reevaluating their relationships with technology, time, their health, and our most precious asset on the planet. 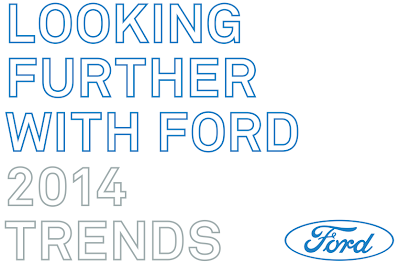 The report – Looking Further with Ford 2014 – highlights 10 global consumer trends for the new year that explore how the technology explosion will affect consumer choices and behaviors. Insights from the trend report then guide Ford designers, engineers and marketers in development of future Ford products and services. The top global trend for 2014, Innovation’s Quiet Riot, explores whether people will continue trying to keep up with an always-on society and experience a fear of missing out, or begin to find joy in moments free of digital distraction. Against this backdrop, Looking Further with Ford 2014 uncovers people’s desire to have downtime to reflect on what matters most – friends, family and community. This evokes nostalgia as consumers remember the comfort and character associated with the way things were. 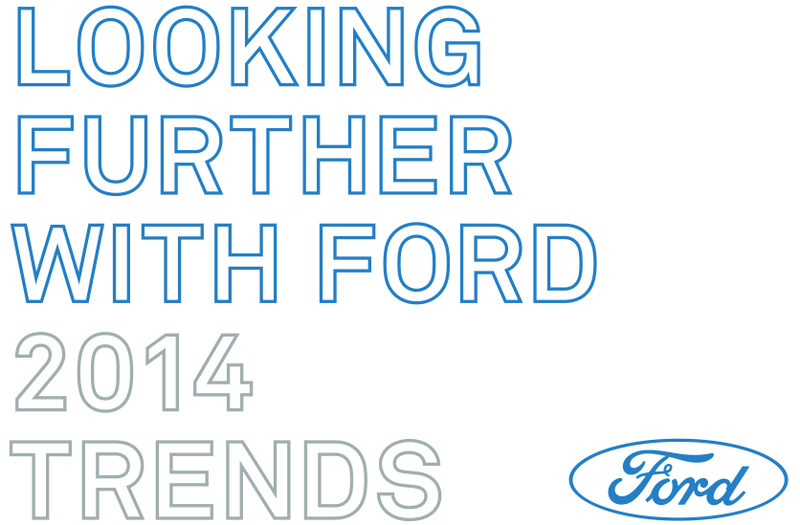 For the full trends report, please visit Looking Further with Ford 2014.